This is my newest build. 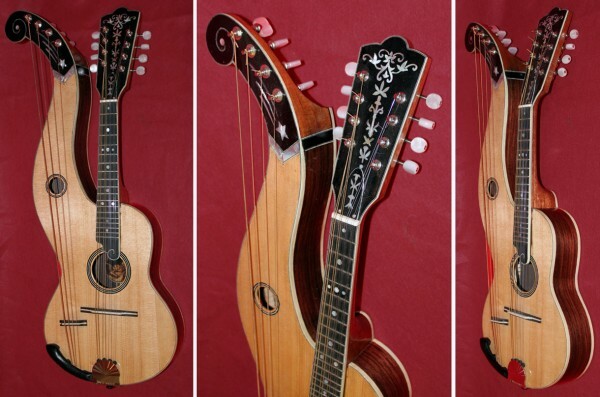 It is a Harp-Mandolin which is based on the Knutzen Harp-Mandolin from the early part of the 1900’s. It has a regular double course of mandolin strings plus 4 sub bass strings. • Grover Mandolin tuners and Grover Banjo tuners.